Just in case yesterday's Avengers 2 poster reveal wasn't enough superhero action for you, we've got even more for you today. While it seemed like every superhero was crammed onto the previous poster, everyone is getting some space now with some character posters. Up first? Iron Man. Got a little somethin for ya, folks. 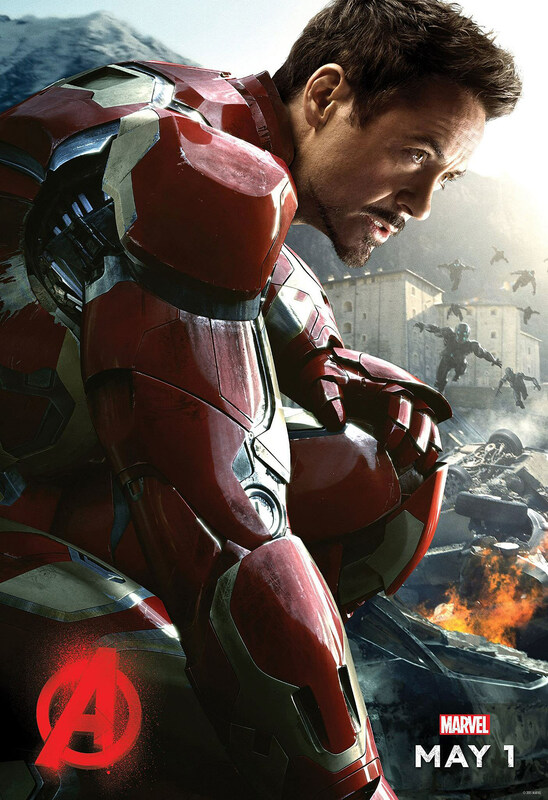 Just cuz you’re awesome, check out this new Iron Man poster for Avengers #AgeOfUltron. As you may have read, we spent some time on the Avengers 2 set last year. We already brought you some interviews with Joss Whedon, Mark Ruffalo and Robert Downey, Jr. and we'll have even more from that visit next week. What we don't know yet, is exactly what all of this is leading to. Our gut tells us it's something at least partly Avengers 2 related. The last Avengers film closed out the Tribeca Film Festival in April. Could a similar announcement be forthcoming? Or, if we're aiming bigger, is a major Spider-Man announcement coming? We all know that Spider-Man will be making his first formal appearance in Captain America: Civil War. But will they also announce a Spider-Man cameo in Avengers 2? Has Marvel already cast Spider-Man?? As we ponder what that is, check out the new Iron Man Avengers 2 poster below (which you can click to enlarge) and we'll update with others as they become available.